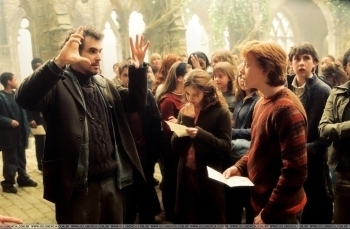 romione - Harry Potter & The Prisoner Of Azkaban - Behind The Scenes & On The Set. romione - Harry Potter & The Prisoner Of Azkaban - Behind The Scenes & On The Set. Wallpaper and background images in the romione club tagged: hermione granger rupert grint hermione romione ron weasley ron emma watson.